Draft: 2010, Oakland Athletics, 13th rd. Arthur Joseph Griffin…was originally signed by Eric Martins…graduated from Grossmont (CA) High School in 2006…was named San Diego Division II Pitcher of the Year as both a junior and senior … attended the University of San Diego…earned first-team All-West Coast Conference honors all four seasons with the Toreros … signed autographs for Oakland elementary school students at the A's Community Fund Holiday Party in 2013. Returned to the majors after a 2-year absence and went 7-4 with a 5.07 ERA (67 ER/119.0 IP) over 23 starts for the Rangers in his first season with the Texas organization…won the 5th spot in the rotation as a non-roster invitee in spring training… ranked 3rd on staff in starts and innings, T3rd in wins as a starter. Made his Major League debut with Oakland in 2012 in just his third professional season and is 21-11 with a 3.60 ERA in 47 starts in two seasons with the A's…missed the 2014 season after undergoing "Tommy John" surgery…went 7-1 with a 3.06 ERA in 15 starts as a rookie in 2012…his .875 winning percentage was second best in Major League history by a rookie with 15 or more starts…pitched exclusively inrelief in 2010 when he was named to the Northwest League Postseason All-Star team after leading the league with 15 saves at Short-Season Single-A Vancouver…was converted to a starter in 2011 and tied for rst in the A's farm system in strikeouts that year (156)…was named A's Minor League Co-Pitcherof the Year in 2012…is 19-11 with a 3.15 ERA (101 er in 289.0 ip) in 68 games, including 44 starts, overthree seasons in the minors…had 280 strikeouts and just 57 walks in 289.0 innings. Was 14-10 with a 3.83 ERA in 32 starts in his first full season in the majors…allowed a Major League leading 36 home runs, which was the fourth highest total in Oakland history and fifth highest in Athletics history…it was the most by an A's pitcher since Curt Young surrendered 38 in 1987…25 of the home runs were solo shots, which also led the majors and were second most in Oakland history (Hunter, 26 in 1973)…has allowed 46 home runs in 47 career starts…ranked fourth in the American League in opponents on-base percentage (.280), fifth in batting average (.226) and tied for eighth in wins…led the A's in innings pitched (200.0), strikeouts (171) and losses and tied for the team-lead in games started … the 10 losses were the fewest by the A's team-leader since Cory Lidle had 10 in 2002…his opponents batting average included a mark of .226 (78-for-345) against right-handed hitters and .226 (93-for-412) against left-handers…yielded a .251 on-base percentage to batters leading off an inning, which was third lowest in the AL…also ranked fifth in slugging (.328) and sixth in batting (.205) … now has a .201 batting average, .242 on-base percentage and .309 slugging percentage against batters leading off an inning in his career … surrendered a .167 batting average against a batter the first time he faced him in a game, which was the lowest mark in the majors among pitchers that qualified for the ERA title …it was also the lowest by an A's pitcher with 150 or more innings since at least 1916…now has a .175 (68-for-389) average against a batter the first time he faces him in a game in his career … allowed a .164 batting average with runners in scoring position and two outs, which ranked fifth in the AL among ERA qualifiers … averaged 5.45 runs of support, which was 10th highest in the AL…was 11-0 in 13 starts with run support of four or more and is 18-0 in 21 such starts in his career…has a career run support average of 5.61 (176 rs in 282.1 ip)…left with a lead in five of his starts only to have the bullpen blow the save…induced just eight grounded into double plays in 200.0 innings and his average of 0.36 GIDPs per nine innings was the lowest mark in the AL and second lowest in the majors (Teheran, ATL 0.29)…it was seventh lowest in Oakland history and was the lowest since Scott Sanderson had a mark of 0.26 in 1990 … yielded 60 of his 91 runs (65.9%) in the fourth through sixth innings…compiled a 2.25 ERA over the first three innings of a game, 5.90 in innings four through six and 2.12 from the seventh inning on…had a 1.41 ERA in the first inning and has a 1.53 ERA (8 er in 47.0 ip) in the first in his career … allowed 21 of his 36 home runs on the road, which tied for the most in the majors (Guthrie, KC) and was third most in Oakland history…18 came during the day, which tied for the most in the majors (Dickey, TOR) and was second most in Oakland history (Hunter, 24 in 1969)…two were grand slams, which tied for the most in the AL…had a 6-6 record in 16 starts during the day, 8-4 in 16 starts at night … is now 6-6 in 21 career starts during the day compared to 15-5 in 26 starts at night … made 29 of his 32 starts on four or five days rest…did not commit an error in 23 chances and has not made a miscue in 47 career games and 34 total chances…the A's were 19-13 (.594) in his starting assignments and are 31-16 (.660) in his 47 career starts…walked two batters or fewer in 27 of his 32 starts…allowed two or more home runs in a start 12 times, which tied the Athletics record set by Catfish Hunter in 1973. OAKLAND: Tossed a career-high 110 pitches in his second start of the season, an 8-1 win at Los Angeles (AL) April 11 (matched July 13 vs. Boston)…had a no decision against Houston April 16 … left after six innings with the A's leading 3-2 but Doolittle allowed a run in the eighth for the blown save … it was one of five times the bullpen blew a save in one of his starts (June 4 at Milwaukee, June 20 at Texas, Aug. 16 vs. Cleveland, Sept. 18 vs. Los Angeles-AL)…allowed a career-high nine runs in 4.0 innings April 22 at Boston for his first loss of the season…combined with Doolittle and Balfour on a six-hit, 2-0 shutout at New York (AL) May 3…tossed 7.0 innings and allowed all six of the hits … that was part of a career-high tying 14.0-inning scoreless streak from April 27 to May 8 … surrendered a career-high tying three home runs May 25 at Houston, his first of three three-homer games in 2013 (July 19 at Los Angeles-AL and July 29 vs. Toronto)…however, picked up the win and was 2-1 in his three starts in which he allowed three home runs…the win ran his record to 5-3 with a 3.84 ERA over his first 10 starts … then went 0-3 with a 4.15 ERA over his next four starts from May 30 to June 15, which was the longest losing streak of his career … walked in his first Major League plate appearance May 30 at San Francisco before striking out in his next at bat … had a 5-6 record over his first 15 starts…then went 9-4 over his final 17 starts beginning June 26 against Cincinnati when he tossed his first career complete game, a two-hit shutout in the A's 5-0 win…walked two and struck out seven…went 1-2 with a 2.60 ERA in five starts in June…had the seventh lowest June ERA in the AL and also ranked third with a .190 opponents batting average…allowed seven runs on a career-high 10 hits in 5.2 innings July 2 against Chicago (NL) but had a no decision in the A's 8-7 win … combined with Balfour on a seven-hit shutout in the A's 3-0 win over Boston July 13…tossed eight innings and allowed six of the hits…that gave him a three-game winning streak over a four-start stretch from June 26 to July 13 (2.93 ERA, .219 opponents batting average)…allowed 10 home runs in 25.0 innings over a four-start stretch from July 19 to Aug. 4 … finished July with a record of 4-1 and a 4.86 ERA in six starts…tied for second in the AL in wins in July …it marked the second time he won four games in a month in his career (Sept., 2012) … allowed more home runs (11) than walks (6)…the 11 home runs tied the Oakland record for home runs allowed in any month (fifth time, last: Mark Redman in July, 2004)…is now 7-1 in 11 career starts in July… issued a career-high six walks in 5.2 innings Aug. 11 at Toronto but had a no decision in the A's 6-4 win…that began a three-start stretch where he walked 15 batters in 16.2 innings…had just 32 walks in 147.1 innings over his first 23 starts (1.95 per nine innings) … finished the season by walking one batter or fewer in five of his final six starts (7 bb in 36.0 ip, 1.75 per nine innings)…had a four-game winning streak from Aug. 26 to Sept. 12 (3.60 ERA)…matched his career high with nine strikeouts and won his 13th game of the season Sept. 6 against Houston…it was the 20th win of his career and it came in his 44th start…the only pitchers in Oakland history to win 20 games in fewer than their first 44 games are Tim Hudson (37 starts) and Vida Blue (39 games, 31 starts)…was not on the A's postseason roster for the ALDS against Detroit due to elbow tendinitis. Began the year at Double-A Midland but finished the season in the starting rotation for Oakland...went 7-1 with a 3.06 ERA in 15 starts in his Major League debut with the A's...his .875 winning percentage was the best in Oakland history and third best in Athletics history among pitchers with 15 or more starts...it topped the previous Oakland high by Tim Hudson, who went 11-2 (.846) in 1999...it was the best by an Athletic since Jim Nash went 12-1 (.923) in 1966...it was the second best mark by any ML pitcher over the last 17 years to Cliff Lee, who went 22-3 (.880) for Cleveland in 2008...it was second best by a rookie in ML history (since 1900) among pitchers with 15 or more starts to Nash in 1966...had the eighth lowest ERA in the American League among pitchers with 81 or more innings pitched...using the same minimum, it was the sixth best mark by a rookie in Oakland history...ranked 10th among AL rookies in wins...walked just 19 batters in 82.1 innings, an average of 2.08 per nine innings...struck out 64 for a strikeout to walk ratio of 3.37...allowed a .236 opponents batting average, which included a .225 (34-for-151) mark against right-handed hitters compared to .245 (40-for-163) against left-handers...opponents were 16-for-83 (.193) with three walks (.221 on-base percentage) when leading off an inning...yielded a .218 average with the bases empty but that rose to .341 with runners in scoring position...allowed a .359 batting average to the number three hitter, .218 against everyone else...was 7-1 with a 2.34 ERA in 10 starts at night, 0-0 with a 5.23 ERA in five starts during the day...was 3-0 with a 1.95 ERA in five starts against AL West competition...the A's were 12-3 (.800) in his starting assignments...tossed six or more innings in nine of his 15 starts, allowed two runs or fewer 10 times and walked two batters or fewer 14 times. Pitched for four different teams in the A's farm system and combined for an 11-7 record and a 3.47 ERA in 27 games, all starts, with Single-A Burlington, Single-A Stockton, Double-A Midland and Triple-A Sacramento...walked just 32 batters in 160.2 innings, an average of 1.79 per nine innings...struck out 156 for a strikeout to walk ratio of 4.88...tied for first in the A's farm system in strikeouts, tied for second in innings pitched, tied for fourth in wins and ranked fifth in ERA...allowed a .238 opponents batting average, which included .228 against right-handed hitters compared to .252 against left-handers...yielded a .208 average with runners in scoring position...allowed 17 home runs, 12 of which came with the bases empty...walked just seven batters to start an inning...began the season with Burlington and went 4-0 with a 1.56 ERA in eight starts...held the opposition to a .187 batting average and walked just five batters in 52.0 innings...struck out 10 batters in 6.0 innings in his first start April 9 at Clinton...it was his first of four 10-strikeout games in 2011...tossed a season-high 7.2 scoreless innings and allowed just one hit for the win in his second start April 14 against Peoria...did not walk a batter in four consecutive starts from April 20 to May 5...hurled 5.2 shutout innings in his final start with the Bees May 15 against Cedar Rapids...was promoted to Stockton May 20 and struck out 10 while tossing 7.0 shutout innings in his first start May 21 against San Jose...that extended his scoreless streak to 18.1 innings...went 5-3 with a 3.57 ERA in 12 starts with the Ports...struck out 82 in 70.2 innings (10.4 per nine innings)...allowed a .185 average with runners in scoring position...picked up the win in his second start May 27 against Visalia to extend his season-opening winning streak to five games...had the winning streak snapped June 1 against Bakersfield, despite allowing just one run in 6.0 innings...was sent to Sacramento June 12 for a start against Tacoma that day...allowed three runs on six hits in 6.0 innings for the loss and returned to Stockton the next day...made two more starts with the Ports before he was transferred to Midland June 30...spent the entire month of July with the RockHounds and went 2-3 with a 6.47 ERA in six starts...allowed a season-high eight runs in 3.0 innings in his final Double-A start July 31 against Corpus Christi...return to Stockton Aug. 4 and went 3-1 with a 4.00 ERA over his final six starts...surrendered five home runs in 6.0 innings Aug. 11 at High Desert but struck out a season-high tying 10...fanned 10 batters in 6.0 innings in his final regular season start Sept. 1 against Modesto...then went 2-0 with a 1.29 ERA in three postseason starts with Stockton...struck out 28 batters in 21.0 innings and walked just two. Was named to the Northwest League Postseason All-Star team after leading the league with 15 saves at Short-Season Single-A Vancouver...ranked third among all A's minor leaguers in saves...pitched exclusively in relief in his first professional season, combining for a 1-1 record, 15 saves and a 2.39 ERA in 24 appearances with the A's affiliate in the Arizona Rookie League and Vancouver...did not surrender a home run in 26.1 innings...struck out 33 (11.3 per nine innings) and walked just seven for a strikeout-to-walk ratio of 4.71...allowed a .163 opponents batting average, including .121 by left-handed hitters compared to .186 by right-handers...opponents were 3-for-19 (.158) with runners in scoring position...began the season in the Arizona Rookie League and did not allow a run in four appearances and 5.0 innings...was transferred to Vancouver July 3 and went 1-1 with a 2.95 ERA in 20 appearances with the Canadians...converted 15-of-16 (93.8%) save opportunities...stranded his only two inherited runners...was credited with his first save July 6 at Salem-Keizer after retiring the side in order in the ninth inning...logged his first professional win by tossing 2.0 scoreless innings in a 4-3, 11-inning win over Yakima...struck out a season high five in that contest...converted each of his first nine save opportunities before he was charged with his lone blown save Aug. 8 against Tri-City...allowed two runs in that game but did not allow a run over his final seven contests (7.0 ip, 4 h, 1 bb, 11 so)...did not pitch for the Canadians in the postseason as they were swept in the best-of-three semi-final against Everett. April 18, 2018 Las Vegas 51s released RHP A.J. Griffin. April 17, 2018 Las Vegas 51s activated RHP A.J. Griffin from the temporarily inactive list. April 13, 2018 Las Vegas 51s placed RHP A.J. Griffin on the temporarily inactive list. April 11, 2018 RHP A.J. Griffin assigned to Las Vegas 51s from Brooklyn Cyclones. April 1, 2018 RHP A.J. Griffin assigned to Brooklyn Cyclones. March 13, 2018 RHP A.J. 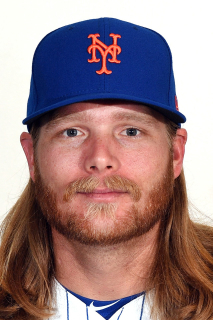 Griffin assigned to New York Mets. December 1, 2017 RHP A.J. Griffin elected free agency. August 3, 2017 Texas Rangers activated RHP A.J. Griffin from the 60-day disabled list. July 29, 2017 Frisco RoughRiders sent RHP A.J. Griffin on a rehab assignment to Round Rock Express. July 24, 2017 Texas Rangers sent RHP A.J. Griffin on a rehab assignment to Frisco RoughRiders. July 19, 2017 Texas Rangers sent RHP A.J. Griffin on a rehab assignment to Round Rock Express. July 14, 2017 Texas Rangers sent RHP A.J. Griffin on a rehab assignment to AZL Rangers. June 19, 2017 Texas Rangers transferred RHP A.J. Griffin from the 10-day disabled list to the 60-day disabled list. Left intercostal muscle strain. May 27, 2017 Texas Rangers placed RHP A.J. Griffin on the 10-day disabled list. Left intercostal muscle strain. May 4, 2017 Texas Rangers activated RHP A.J. Griffin from the 10-day disabled list. April 28, 2017 Texas Rangers sent RHP A.J. Griffin on a rehab assignment to Round Rock Express. April 21, 2017 Texas Rangers placed RHP A.J. Griffin on the 10-day disabled list retroactive to April 18, 2017. Gout in left ankle. October 11, 2016 Texas Rangers activated RHP A.J. Griffin. October 6, 2016 Texas Rangers reassigned RHP A.J. Griffin to the minor leagues. June 25, 2016 Texas Rangers activated RHP A.J. Griffin from the 15-day disabled list. June 9, 2016 Texas Rangers sent RHP A.J. Griffin on a rehab assignment to Frisco RoughRiders. April 8, 2016 Texas Rangers selected the contract of RHP A.J. Griffin from Round Rock Express. April 6, 2016 RHP A.J. Griffin assigned to Round Rock Express. December 21, 2015 Texas Rangers signed free agent RHP A.J. Griffin to a minor league contract and invited him to spring training. November 25, 2015 Oakland Athletics released RHP A.J. Griffin. November 20, 2015 Oakland Athletics designated RHP A.J. Griffin for assignment. November 3, 2015 Oakland Athletics activated RHP A.J. Griffin from the 60-day disabled list. September 1, 2015 Oakland Athletics recalled RHP A.J. Griffin from Nashville Sounds. June 13, 2015 Oakland Athletics optioned RHP A.J. Griffin to Nashville Sounds. June 11, 2015 Oakland Athletics sent RHP A.J. Griffin on a rehab assignment to Nashville Sounds. June 2, 2015 Oakland Athletics sent RHP A.J. Griffin on a rehab assignment to Stockton Ports. February 27, 2015 A.J. Griffin roster status changed by Oakland Athletics. October 30, 2014 Oakland Athletics activated RHP A.J. Griffin from the 60-day disabled list. October 12, 2013 Oakland Athletics activated RHP A.J. Griffin. October 4, 2013 Oakland Athletics reassigned RHP A.J. Griffin to the minor leagues. September 1, 2012 Oakland Athletics activated RHP A.J. Griffin from the 15-day disabled list. August 22, 2012 sent RHP A.J. Griffin on a rehab assignment to Sacramento River Cats. August 5, 2012 Oakland Athletics placed RHP A.J. Griffin on the 15-day disabled list. Strained right shoulder. June 24, 2012 Oakland Athletics selected the contract of RHP A.J. Griffin from Sacramento River Cats. May 11, 2012 A.J. Griffin assigned to Sacramento River Cats from Midland RockHounds. April 3, 2012 A.J. Griffin assigned to Midland RockHounds from Stockton Ports. March 3, 2012 RHP A.J. Griffin assigned to Oakland Athletics. August 5, 2011 A.J. Griffin assigned to Stockton Ports from Midland RockHounds. June 30, 2011 A.J. Griffin assigned to Midland RockHounds from Stockton Ports. June 13, 2011 A.J. Griffin assigned to Stockton Ports from Sacramento River Cats. June 12, 2011 RHP A.J. Griffin assigned to Sacramento River Cats from Stockton Ports. May 20, 2011 A.J. Griffin assigned to Stockton Ports from Burlington Bees. April 4, 2011 A.J. Griffin assigned to Burlington Bees from Stockton Ports. September 8, 2010 A.J. Griffin assigned to Stockton Ports from Vancouver Canadians. June 21, 2010 A.J. Griffin assigned to AZL Athletics from Oakland Athletics. June 16, 2010 Oakland Athletics signed RHP A.J. Griffin.